Bark n' Fly Dog Daycare and Boarding is the Okanagan’s newest, largest, cleanest and safest state of the art facility where your dog or cat can have the most fun ever! 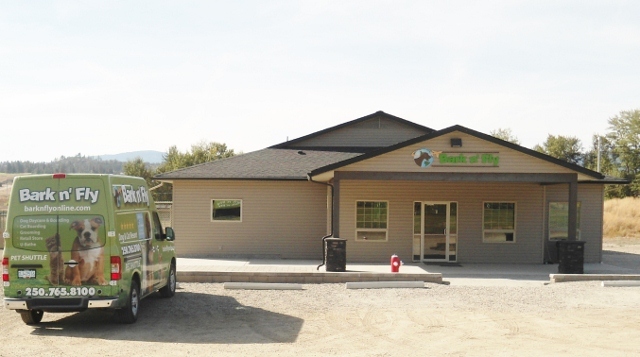 Bark n’ Fly is conveniently located just 2 minutes from the Kelowna International Airport and is easily accessiblefrom Hwy 97 via Old Vernon Road. Bark n’ Fly offers full bathing services where you can come bathe your furry friend and leave the mess at our place or you can choose to stay dry and have one or our Bark n' Fly Dog Pet Professionals do the bathing for you! Bark n’ Fly caters to your four legged friend by maintaining a well stocked variety of local biscuits and treats, as well as dog food! Love to shop? Bark n’ Fly offers a wide selection of items in our speciality retail store where you can pick out a special present for your dog or cat. Bark n’ Fly realizes that most people do not have enough time at the start of their day (or the start of their vacation) thus is why we also offer pet shuttle and taxi services. With all this luxury for our pets we don’t dare forget their owners! 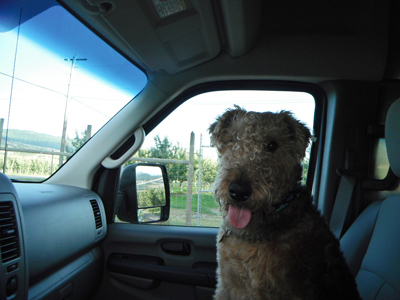 Bark n’ Fly has a few perks for you as well by offering complimentary hot and cold beverages as well as snacks, so why not stop and deliver your pet to us, grab a fresh coffee and a tree picked apple for the drive to work? Established in 2010, Bark n' Fly is the creation of Norm and Tasha Melnichuk, who live on site and genuinely have a passion for animals. As owner/operators of Bark n' Fly Norm and Tasha were determined to establish a premium one of a kind facility for your furry friends. Their level of passion and dedication is demonstrated through their attention to detail when the vision of a healthy pleasant atmosphere for your pets came to fruition. Our Bark n' Fly Pet Professionals teach dogs and cats interaction, social skills and encourage self confidence with plenty of human interaction and one on one attention. Daytime activities help eliminate boredom, separation anxiety and stress which are often the cause of many unwanted behavioural issues. Dogs and cats both benefit from regular exercise and with over 5 acres of spacious countryside there is no shortage of that here at Bark n’ Fly. However, we caution that your pet will be very exhausted when their play day is over, so have a comfy blanket on hand for the car ride home! All of our Bark n' Fly Pet Professionals are pet first aid certified for that extra peace of mind and sense of security. Whether its work or a holiday that takes you away, you can rest assure that your beloved pet will be pampered by Bark n' Fly Pet Professionals during their stay. 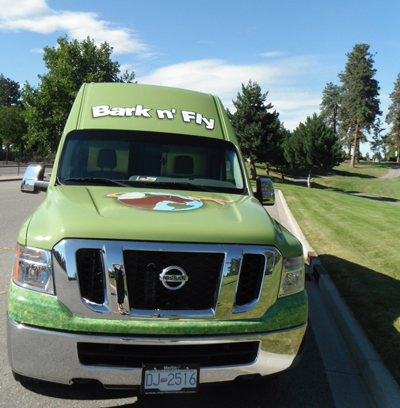 Bark n’ Fly is unmistakably the Okanagan’s newest, largest, cleanest and safest state of the art facility built from the ground up with your (and our) pets in mind. Bark n’ Fly comes equipped with an enhanced climate control system which includes in floor heating as well as air-conditioning. Bark n’ Fly also has a specially designed air filtration and ventilation system to ensure that your pets are at their utmost comfort while they breathe the cleanest freshest air possible during their stay with us. Furthermore Bark n’ Fly utilizes the latest technology with its pet safe lighting to reduce your pets eye strain thus eliminating any undue stress and overall enhancing your pets well being. Bark n’ Fly understands that your pet is a member of the family and always has your pets best interest in mind. Bark n’ Fly has a complete security system with several cameras and 24 hour monitoring for burglary, fire and carbon monoxide poisoning. 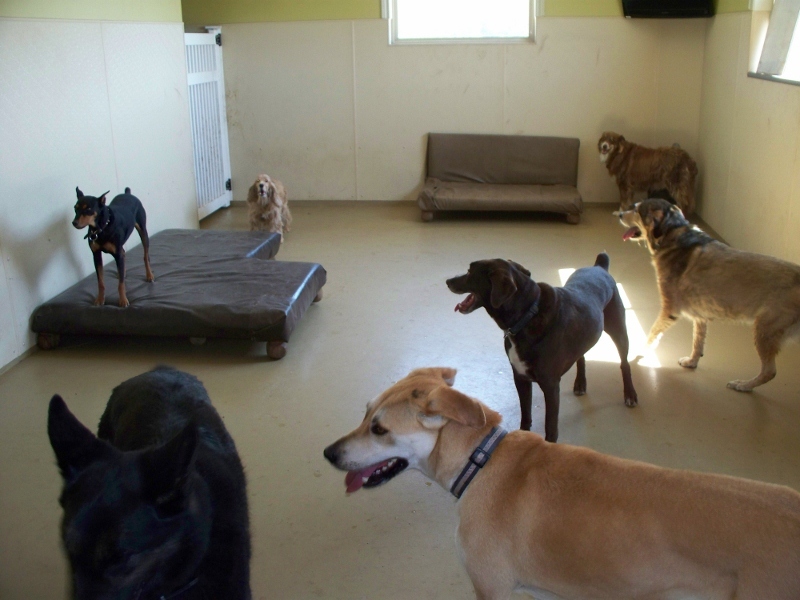 Bark n’ Fly has a large climate controlled indoor play area complete with in floor heating and large roll up garage door so that your pet can come and go from the outside play area as they please. Bark n’ Fly will take safety precautions to separate the smaller dogs from the larger ones (or dogs with behavioural concerns) so each has their own separate indoor and outdoor play area. On days when the weather isn’t so nice or for that long lazy dog nap Bark n’ Fly’s indoor areas have all the amenities of home including furniture and televisions. Bark n’ Fly also offers afternoon nap time movies and snacks (if permissible) with plenty of cuddle time. 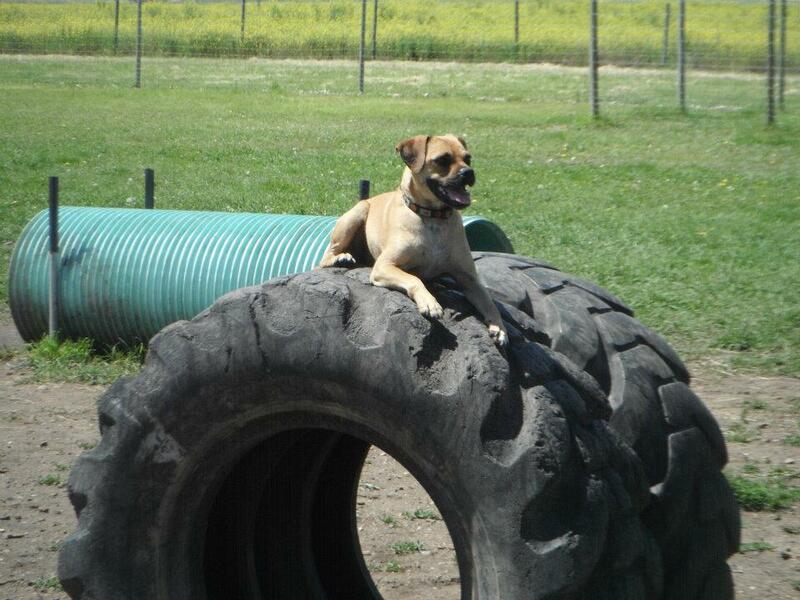 Bark n’ Fly by far has the largest outdoor play area with over 5 acres of fully fenced outdoor fun! With your pets safety in mind each perimeter fence is constructed 10 feet high, with 2 feet buried below the ground, keeping those who like to dig inside. 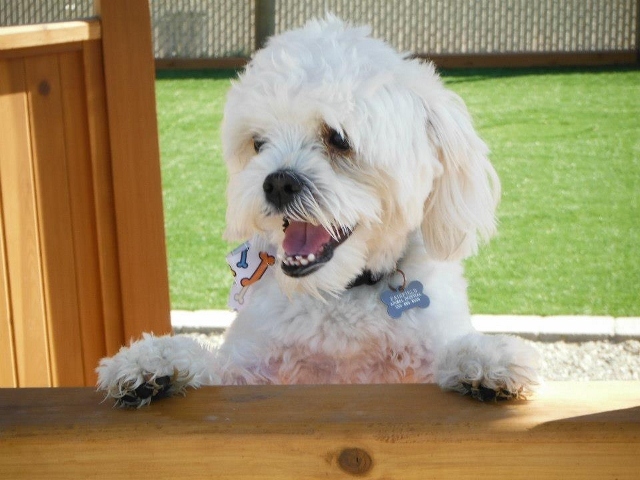 Bark n’ Fly’s outdoor play area is designed with separate fenced areas to cater to your dog’s specific needs, whether your dog is small, large or of a different activity level and personality. Dogs always have access to clean drinking water and there is plenty of shade and rest areas where your pets can find shelter from the sun or inclement weather. Bark n' Fly Professionals are always on hand to monitor your pets and ensure their safety as well as provide activities to keep your pets mentally and physically occupied. If your dog is an overnight guest at Bark n’ Fly their 5 star treatment will continue with your choice of one of our many luxury suites. All of Bark n’ Fly’s suites are climate controlled including in floor heating. Bark n’ Fly has different bedding options (on floor cushion style beds or raised off floor beds) depending on your pets specific needs or preferences. 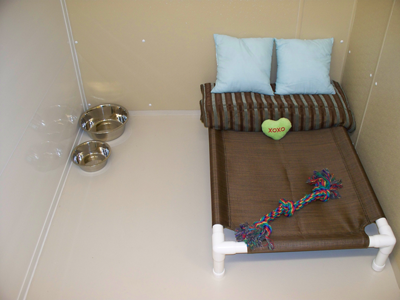 Each Bark n’ Fly suite comes with blankets, pillows and toys, however you are more than welcome to bring your pet’s own favourite bedding or toys as well. 25 square foot indoor suite with private window for natural light and individual dog door to access their own 55 square foot run. 25 square foot indoor only suite with natural lighting. 30 square foot large dog or multi family suites with a private window for natural light and individual dog door to access their own 80 square foot run. All BARK N’ FLY suites have television viewing capabilities and BARK N’ FLY PET PROFESSIONALS make sure everyone gets good-night hugs/kisses and snacks (if permissible) before playing a bedtime movie. 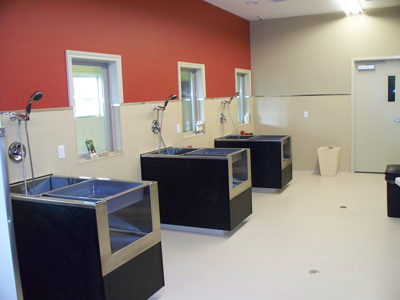 Here at Bark n' Fly, bathing and grooming your dog has never been easier. Bark n’ Fly offers 3 large custom made stainless steel tubs which have been proven to be the best at deterring bacteria build up so your pet enters a more sterile environment. Come use our facility and leave the mess for us to clean! If you are looking for a more relaxed afternoon or simply want to have a clean dog upon return from your vacation our BARK N’ FLY PET PROFESSIONALS would be more than happy to bath your dog for you, please book this service in advance. *This service requires an appointment to ensure we have an available tub and is usually booked by the hour, however if you have a big task at hand please let us know. At Bark n’ Fly we also offer cat daycare as well as boarding. Our feline guests are pampered and receive Bark n’ Fly’s 5 star service and luxurious accommodationsin their own private cat condos. The cattery is located in a separate area from the dogs and is sound proof so as not to cause any undue stress from barking. The cattery at Bark n’ Fly is climate controlled and has a specially designed air filtration and ventilation system to ensure that your cat is at its utmost comfort while breathing the cleanest freshest air possible. Bark n’ Fly utilizes the latest technology with its pet safe lighting to reduce your cats eye strain thus eliminating any undue stress and overall enhancing your furry felines well being. The cattery has been designed with a large bay window for plenty of natural light which provides an excellent warm perch for your cat to sunbathe and nap on. In order to enhance a relaxing home environment Bark n’ Fly has added the furnishings of a living room including a television, multiple scratch posts, tunnels as well as numerous fun cat toys. 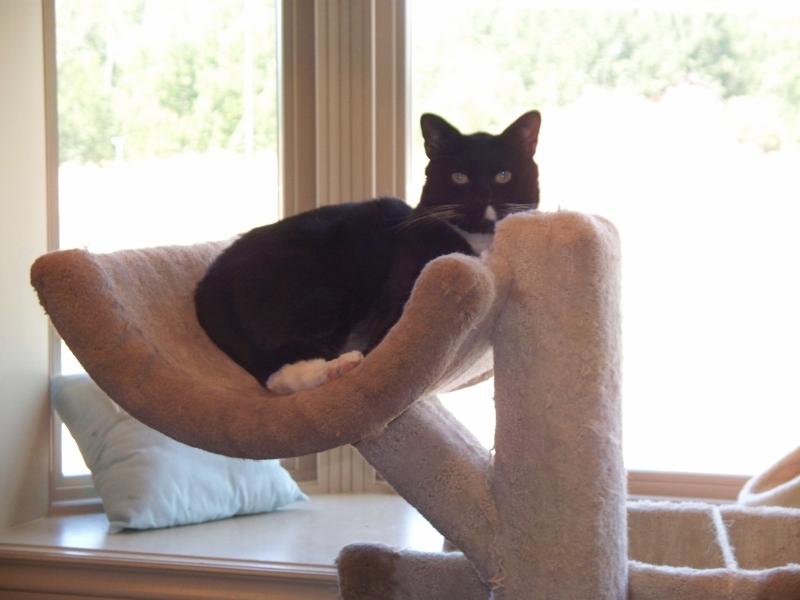 Bark n’ Fly’s cattery offers individual furnished cat condos with an open play area for social interaction with other cats as well as plenty of love from our BARK N’ FLY PET PROFESSIONALS. If your cat is an over night guest their 5 star treatment will continue and your cat will be assigned one of our luxurious cat condos. BARK N’ FLY PET PROFESSIONALS will ensure everyone gets a good night scratch behind their ears, belly rub and snacks (if permissible) before playing a bedtime movie. Please note there is no shuttle service on weekends or statutory holidays. *In order to ensure that we have enough room to transport all of our guests please call to reserve your “cabin” on the Bark n’ Fly Pet Jet prior to the close of business the day before. If you require a drop off only at one of our shuttle stops, please call during business hours the day of to check “cabin” availability. Bark n’ Fly Pet Jet also provides a door to door service for picking up your pets and "flying" them to our facility as well as their return “flight” home. To book a private door to door flight in the Bark n’ Fly Pet Jet please call prior to the close of business the day before to check “cabin” availability. Please note there are no pet jet flights on weekends or statutory holidays. Bark n’ Fly has a full retail store containing a wide variety of items including great gift package ideas for pet lovers and their pets. Bark n’ Fly maintains a well stocked variety of local biscuits, treats, as well as dog food. Feel free to stop by Bark n’ Fly anytime for a tour of the facility and check out our in store deals.